Have you heard of Energy Medicine? While it may sound like something from a new age seminar, it is really nothing more than a simple concept of the energy around us and how it relates and sends signals to our body. In general, energy medicine is any healing technique that utilizes known energies such as magnetism, electricity, sound, or light. 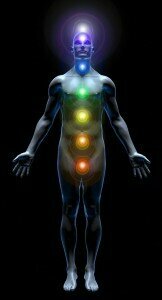 Most applications of energy medicine presently are done through frequencies that mimic those of substances or stressors as they relate to a patient’s sense well being. On Dr. Mercola’s website, he states MTT is “a psychological acupressure technique I have been recommending to my patients and using in my practice. It shows how the tapping of one’s fingertips inputs kinetic energy onto specific meridians on your head and chest to provide emotional relief and physical healing benefits for you and your family.” Specifically, MTT is practiced by tapping ones fingers in a rhythmic and bold succession to release kinetic energy into the body while repeating positive affirmations to change associations with a specific problem in a patient’s life. In effect, one will break the negative association and stress the body experiences due to a specific problem, and replace it with the positive thoughts affirmed during the process. It is a retraining of the body’s response to stress. Dr. Mercola has been using MTT for the last 15 years in his practice. Dr. Mercola’s website describes ART as “a biofeedback enhanced physical exam which uses changes in muscle tone as primary indicator.” Further, the definition of ART is listed as “when a substance is placed over an area of the body which contains this identical substance, a stress signal is elicited which makes a strong indicator muscle go weak.” For example, if a slide with a tumor biopsy is placed over the body where an identical tumor is present, the body sends a stress signal that causes a strong indicator muscle to go weak. This “resonance phenomenon” between two identical substances has been brought to the forefront of modern CAM by Dr. Yoshiaki Omura, MD of New York, who has a US patent for his way of working with this phenomenon. Once a substance is passed over the body in an effort to induce this resonance reaction, the practitioner would use Manual Muscle Testing (MMT) in the same way a physical therapist would to determine how a muscle reacts under short-term pressure. A muscle that can maintain its position under pressure is considered to be strong. A muscle that cannot maintain its position under this pressure would be weak and considered to be effected by the substance or stressor through the resonance phenomenon. Based upon that information, a practitioner can diagnose a blockage to health and wellness then move toward solutions or treatment. How does Dr. Mercola’s use of energy medicine relate to BioVeda Wellness? In our next installment of our Energy Medicine Series, we will explore Neurological Stress Reduction Therapy that is exclusive to BioVeda Health and Wellness Centers. We will explore how its use of substance specific frequencies can change the body’s stress response in a completely holistic, painless and drug-free way. Please check back to read how the BAX 3000 and the BAX AURA offered by BioVeda Health and Wellness Centers can help you or someone you love through decreased stress reactions and increased wellness!